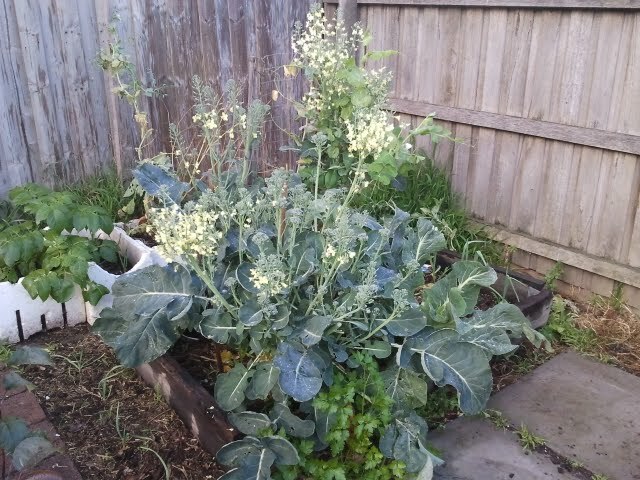 I found it hard to grow broccoli last year (2010). Most of the seedlings failed to take and what did manage to grow was continually attacked by garden pests. This year could not be more different, because since putting those healthy seedlings into the ground, they have really taken off – so let’s see how to grow broccoli at home. Here is a picture of the first flower head coming through, nourished by a healthy stalk with full dark green leaves, and below that is a thick layer of coffee compost. Just before taking these photos, I sprayed my plants with a fresh batch of worm tea, which you can see as beads on the leaves. 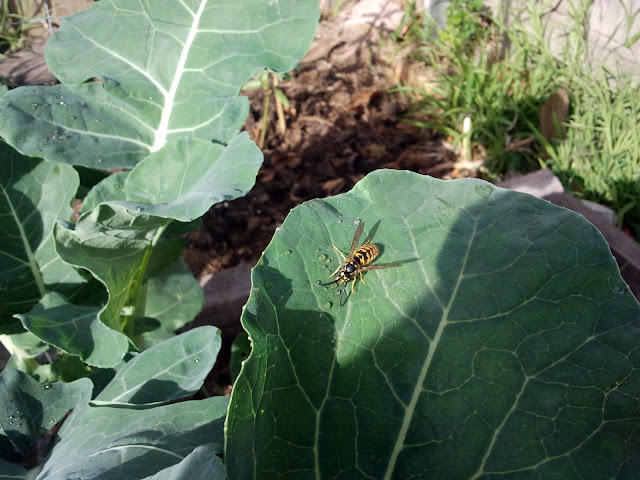 Seems that a wasp found a nice drop to drink from, and he stayed there for long enough to get a shot off. And this is a couple of weeks later now, with excellent growth of the broccoli, cauliflower (on the right), and snow peas (at the back). In the foreground is coriander and there is some marjoram making itself comfortable. There is also some garlic growing at the rear of the plot, but tricky to see. Here is the main dome on a Waltham, almost there! One of the added bonuses of growing heritage broccoli is all those side shoots that keep growing after the main dome has been removed. They grow quickly and are absolutely delicious. Here we have the hybrid – Shogun Winter. Notice how it just has the main dome, and none of the side shoots. It also grows lower, about half the height of a heritage. I think it is almost time…. This is a very good example to spot the differences between the hybrid (left) and heritage (right). Great contrast below between the Shogun, broad beans, and snow peas. 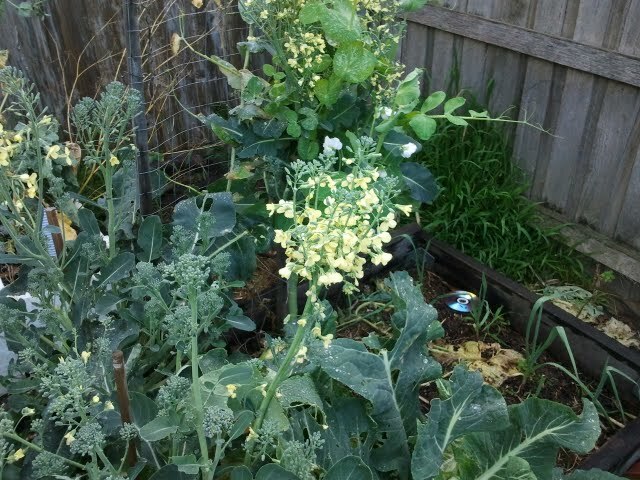 Broccoli coming into flower. There were so many side shoots coming out that we couldn’t get to them in time. But still some of those side shoots for eating! And now the cycle is complete, with the spent plant removed from the plot (you can clearly see the coffee cup plastic liner). As a final contribution, some of this plant will go into the compost bin, and some will be used as a green manure for other growing plants. It has been great to track the lifecycle of these broccoli over 6 months, and now heading into a Melbourne Spring, it will not be too long before it begins again. Little seeds going into little used coffee cups! Tags: Broccoli, how to grow. Bookmark the permalink. An easy and nutritious plant to have, and makes a great aphid trap at the end of the productive life. So how are those healthy broccoli seedlings going now? Time for more photos I say. Yes on the way mate – having problems with that old camera so let me upgrade and get that photo quality into the current century! any chance you could list the items and procedures to make worm tea. Lovely wonderful website, keep it up! 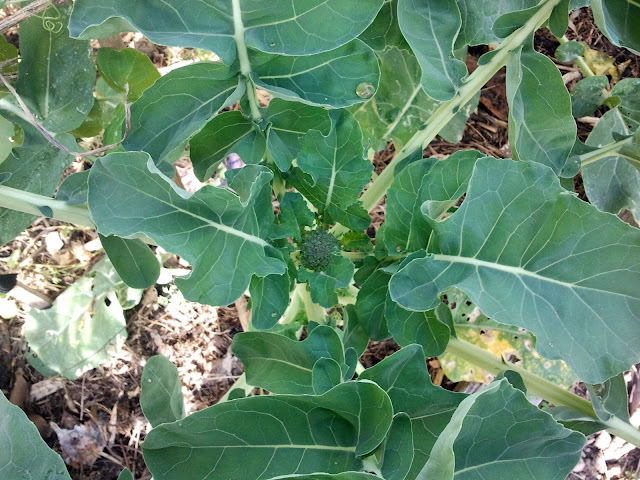 thank you for the great photos, but can you add more information about how you actually grow broccoli from the seed all the way to the harvest? 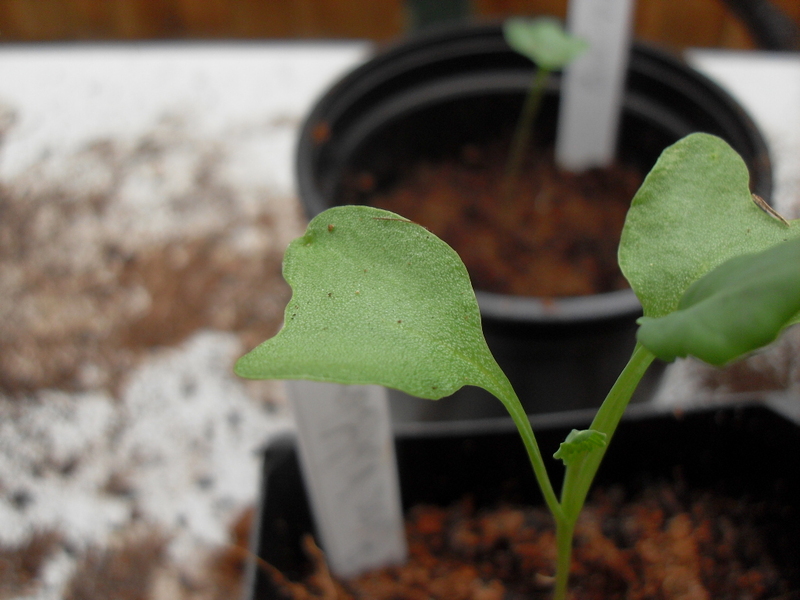 How about we start with the seedlings Prakesh, although to be fair it is the broccoli that does most of the work, and in all is a very easy vegetable to grow. When the time is right which for me is mid Spring, put broccoli seeds into some seedling mix (or your preferred seed raising mix, i.e mixed compost or vermicast, course sand), as long as it has good quantities of nitrogen. Broccoli is a member of the Brassica family – Cabbage, Brussels sprouts, cauliflower – and they all have a high nitrogen requirement. Keep the mix moist and in as sunny and light wind spot as you can, and hopefully germination will occur. Once the plant gets to 6 to 8 inches, it is ready to get put out into the garden. Loved your blog. I like the way you make use of stuff like tyres, used coffee, used barrels etc. We live in such a disposable society that it’s nice to see someone actually reusing stuff. I grew up in Africa where we reused tea leaves and coffee leaves by mixing them in the garden soil. I hate to see anything wasted. I will be following you through Facebook. Great to have you stop by Mina, and thank you for the great recipes on your site! Great teaching people how to grow broccoli. Make it look easy!! Yet to try coffee grounds in the soil though from seeing what you are able to do with your broccoli it works. Glad you like the broccoli Simon. It is great fun growing it so getting people such as yourself to get involved is easy better. Thanks for stopping by the site. I’m a big fan of growing broccoli and these photos of the lifecycle are great. Thanks.